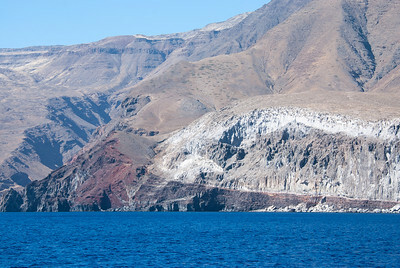 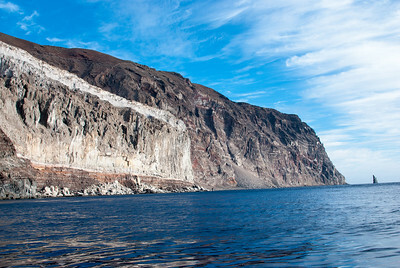 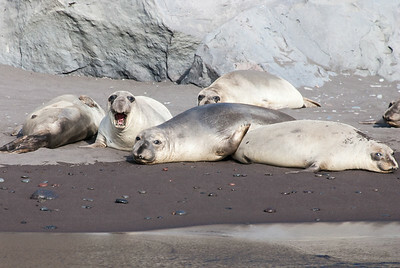 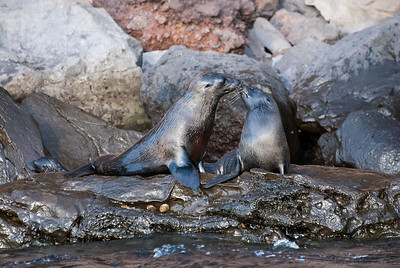 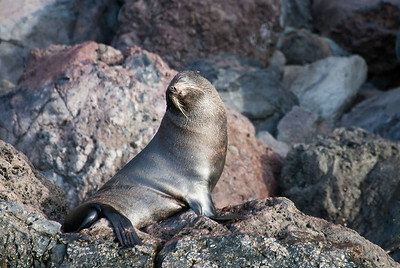 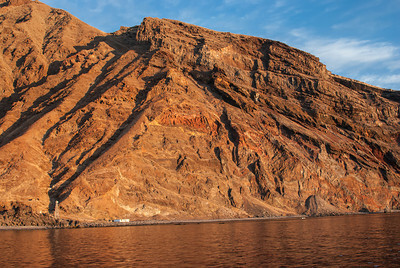 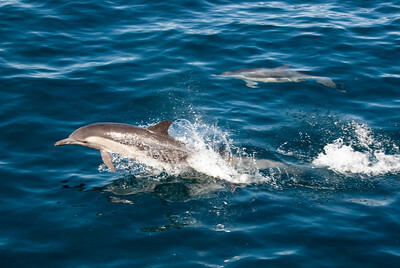 Isla Guadalupe is a volcanic island off the west coast of Mexico's Baja California peninsula. 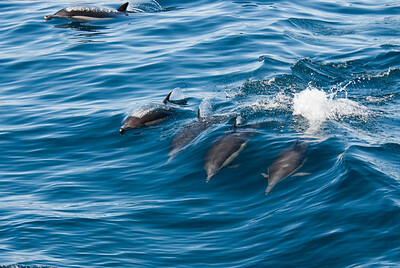 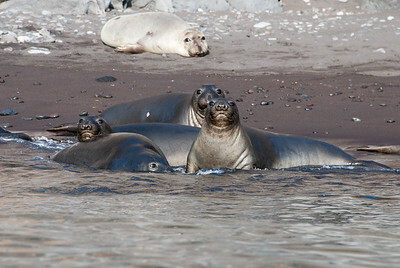 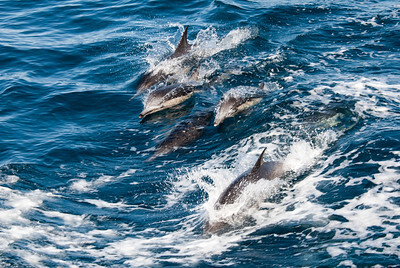 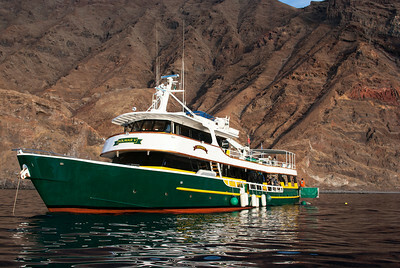 The island is 200 nautical miles southwest of the city of Ensenada in the Pacific Ocean. 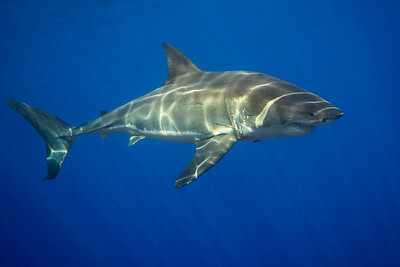 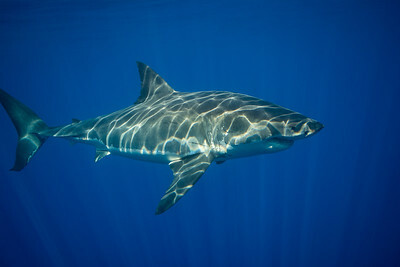 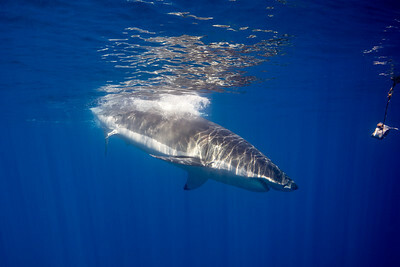 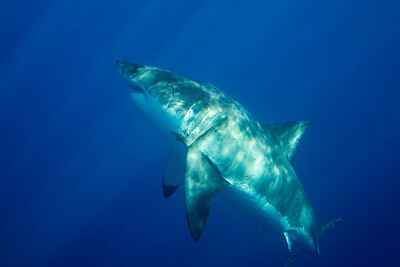 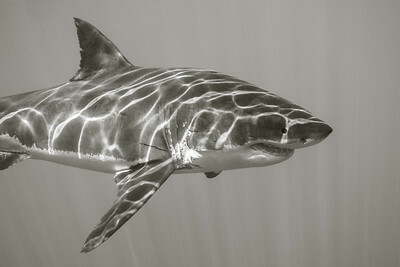 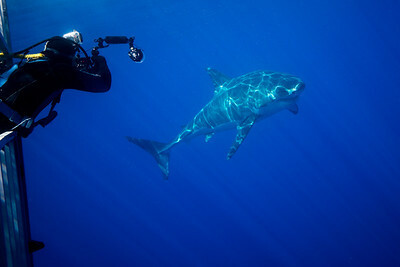 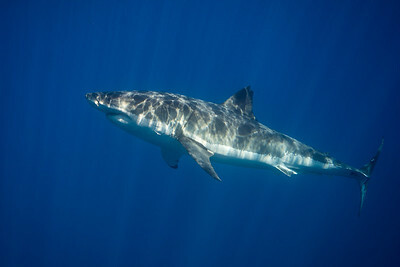 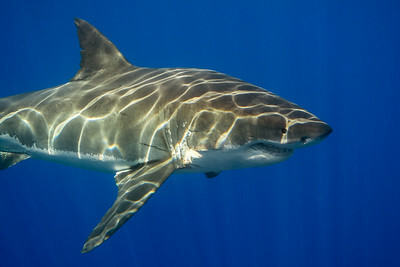 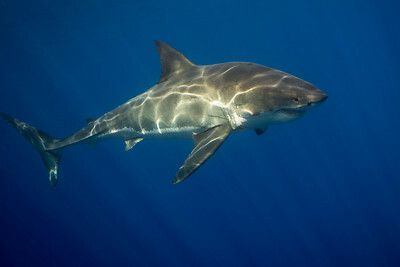 Guadalupe is considered one of the best places in the world to observe the Great White Shark. 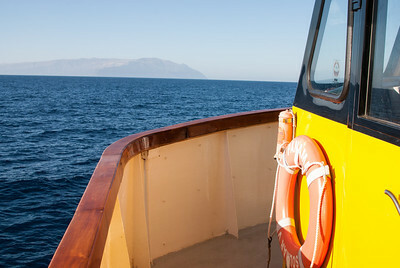 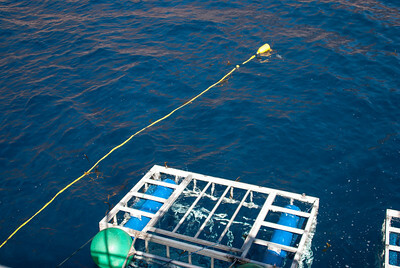 It's blue waters are known for outstanding visibility. 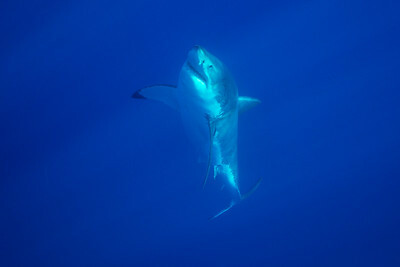 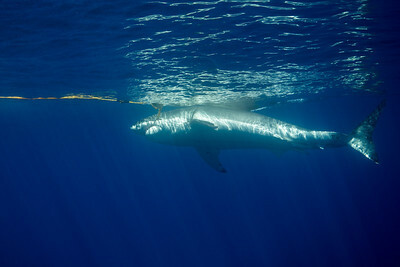 A large male Great White Shark is enticed to grab a tuna bait tied to a line tended by a "wrangler" on the stern platform of the Solmar V.